Split screen, as its name implies, is a visible division of the screen. People create a split screen video for many reasons, for example, make the same person in the same scene twice, compare two similar products, or show different strategies on a game, etc. Whatever the reason is, the split screen technique offers people a great way to illustrate how one thing is related to another. When split screen is used appropriately, it can achieve a powerful effect. An indispensable step to make a engaging split screen video is to have a split screen video editor polish it before publishing it. In this article, we get the best video editor available to edit a split screen video. It has 19 types of split screen styles. The size of each screen is adjustable. It has different filter effects for use. It supports to quickly add background music to the video. It has three options of aspect ratio available: 16:9, 4:3 and 1:1. It exports split screen video in high resolution. Now it’s the time to get started to make a split screen video with it. If you haven’t had the software on your computer, click the “Download” button below to download it to your computer, follow the instruction to complete the installation. Go to “Split Screen” tab, choose the screen style you want to use, click the “+” button at the bottom left part to import the files to each window. You will need to resize the window to display the video, cut out unwanted parts and mute the sound, so that everything looks nice on a single screen. Drag the border to adjust the screen size, click the scissor icon and a window will open to let you save the part you want to keep, click the speaker icon to mute the sound in the video. Once you have resized and trimmed the video, you might need to edit the audio. For example, add a new background music for the video. Under the “Music” tab, click “Add music” to insert a new song to the video, tick the “Fade in and out” checkbox and the song will appear in the video fluently. Click “Filter” and select the effect you want to apply to the video. Preview the video in the player, once the video is exactly the one you want, you can choose the resolution to export the video. 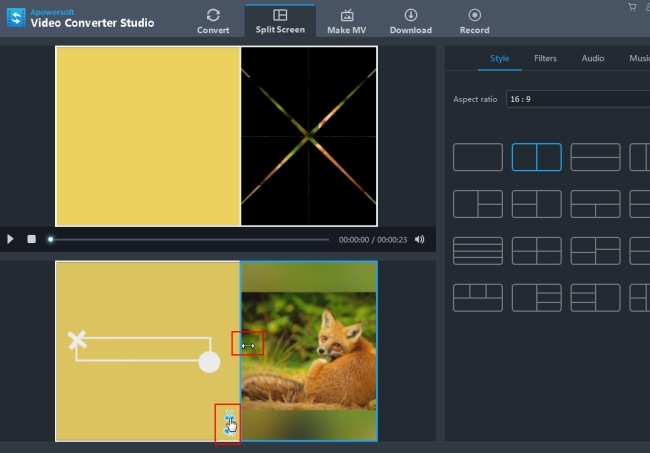 BeeCut is a simple-to-use video editor with a lot of editing features. Its latest version supports videos in aspect ratio of 16:9, 4:3, 1:1, 9:16 and 3:4. And it has versions for Windows, Mac, iOS and Android. 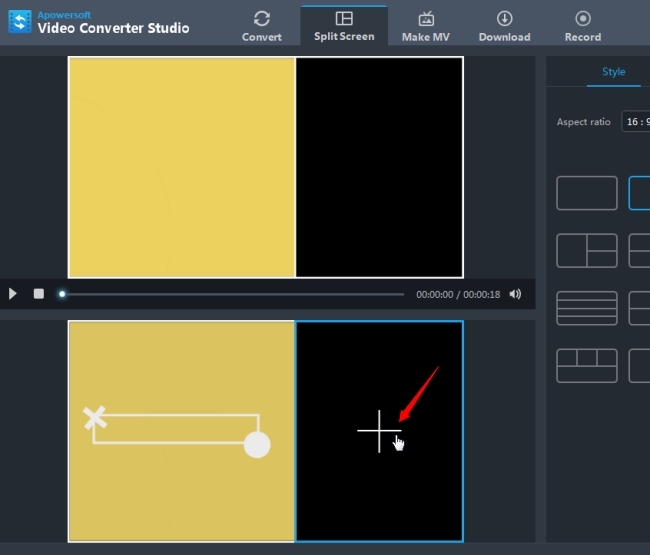 This software cannot only allows you to split/crop/cut your split screen video, but also lets you add cool filters/overlays/texts/transitions/animations to your video. More than that, its powerful picture-in-picture feature is able to have you make a split screen video too, if you want an all-in-one split screen video maker and editor. Its friendly user interface makes the whole process for making/editing a video a very easy thing. Even though you have no experience with editing, you can also produce your cool split screen video in high quality quickly. The best part of it should be that the templates for filters, overlays, texts, transitions and animated elements are keeping up with the trend always. 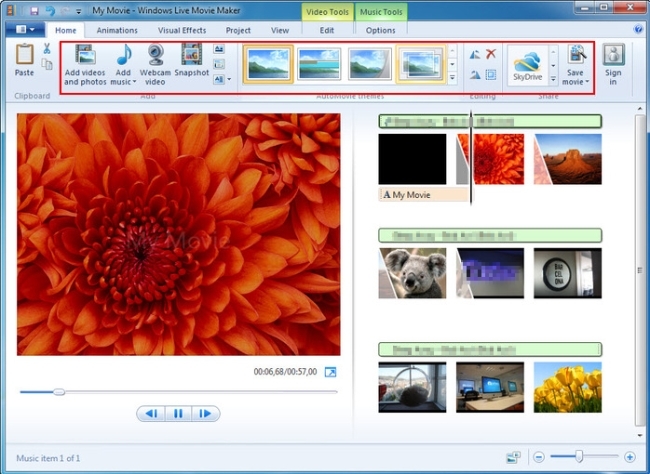 Windows Movie Maker is a basic video tool created by Microsoft to help users create and edit videos. It offers a lot of basic features when it comes to editing a video. Even you use it as a free split screen video editor app, it allows you to cut the video, reorganize the video, apply special effects, add captions and so on. It is also very easy to share the videos to social networks and video sharing sites. Since it has a very intuitive interface, you won’t have to waste time learning how to use it with technical support document. The main downsides of the program should be the format it supports to import and export. People can only upload Windows-compatible videos to edit and export videos in WMV and MP4 format. Obviously, if you have no editing experience and only need to make simple edits, Windows Movie Maker is a great option. 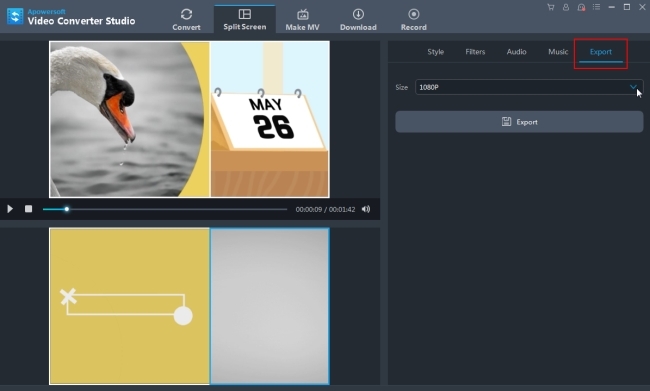 WeVideo is a web-based split screen video editor. People can access it via a browser. In other words, people can use it anywhere, anytime and any OS only if they have internet access. 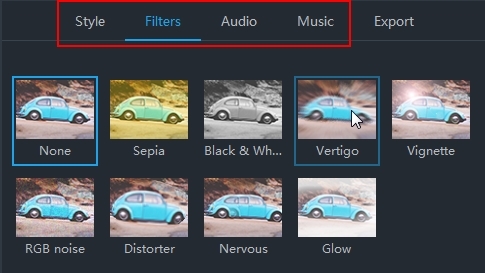 WeVideo offers more advanced features, compared to the first program. It has the capability to editing audios, and the ability to share video in 4K resolution to YouTube, Facebook, Vimeo and Twitter, in addition to its special effects, personalized text and narration feature, green screen and picture in picture features. The big drawback is that the free version puts a watermark on your videos. And it only has 10G of storage for free use. To remove the limits, you can try its paid version. 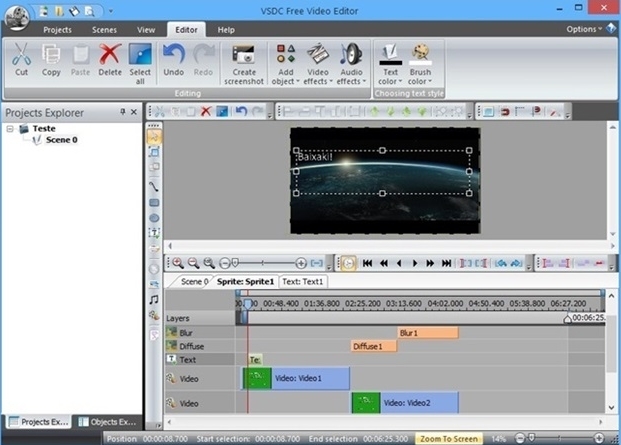 Another free split screen video editor is VSDC free video editor. 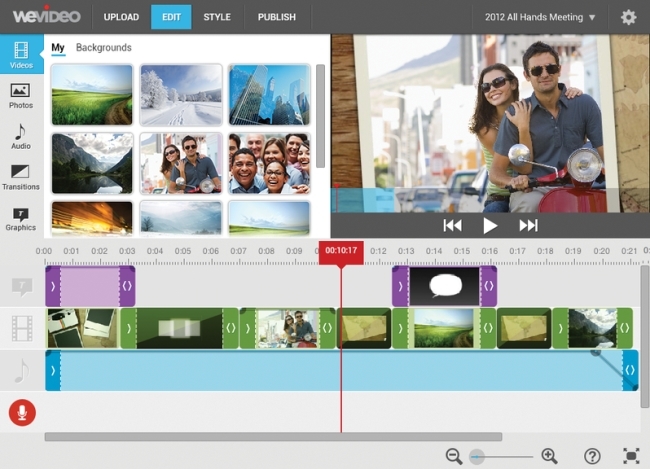 It is a video editing tool which can produce professional-looking videos. Different from WeVideo, VSDC will not leave a watermark on your video. Nearly all popular video formats are supported on it. 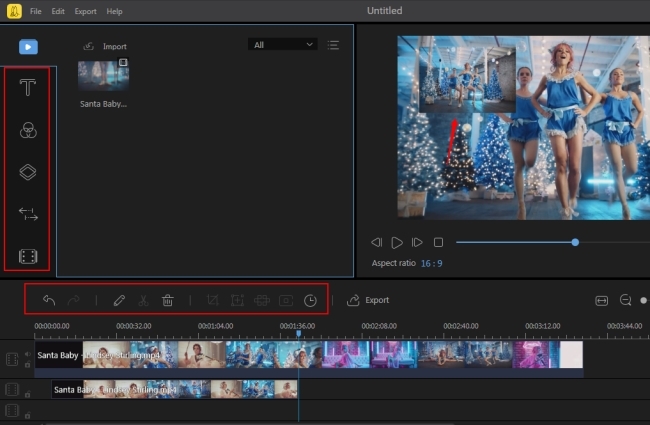 People can use it to do advanced edits, including applying advanced video effects, color correction, volume correction and sound normalization, apart from the basic split and crop features, etc. It also offers an easy way to export your videos to social media networks like Instagram, Facebook, Twitter, Vimeo and YouTube. But you need to pay if you want technical support. VSDC doesn’t provide free support. 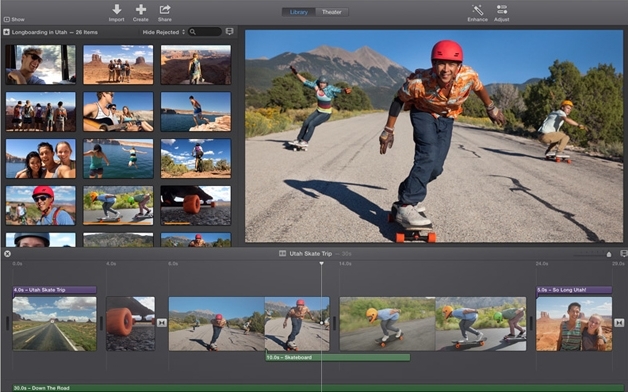 iMovie is a program developed for users who desire to create and edit videos on Mac. As Mac OS is a closed system, there are not as many video editing tools as Windows OS has. iMovie is the best split screen video editor when you need to edit your split screen video on your Mac. It allows you to add transitions, movie themes, titles and effects including color correction and video enhancement tools. Since Apple always keeps updating iMovie, now people can find more and more new popular features in the new versions. 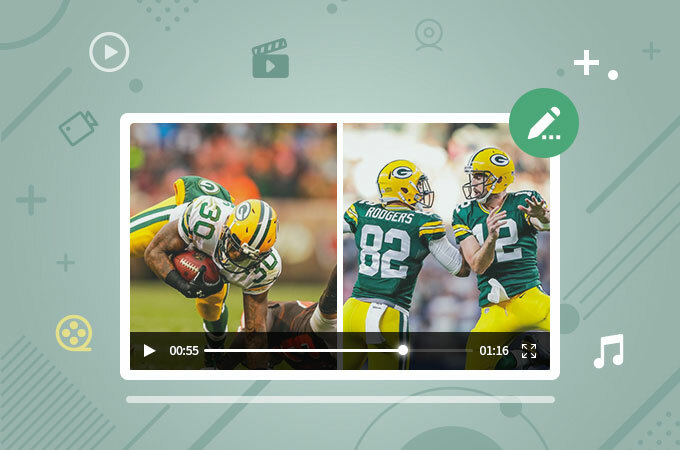 For example, since version 9, it supports AVCHD file format, and allows to share video to Facebook and YouTube; version 10 adds more movie theme options, picture in picture feature, realistic green screen effect, etc. Unfortunately, like the limits that Movie Maker has, iMovie is not fully compatible with all video formats. It is friendly to Mac-compatible formats. What is streaming video and streaming audio?